Westpac Group, the nation's second largest lender, is giving risky property investors less than one month to find another lender amid growing concerns about the impact of rising rates, falling values and oversupply. The bank is sending single page letter to investors warning it can "no longer support our commercial relationship with you", adding it will work with the borrower to help them find a new lender. Victor Kumar, a director of Right Property Group, a buyers' agency, who has seen the letter sent to property investors, said: "This is of concern because they have used the banking system to get these loans." 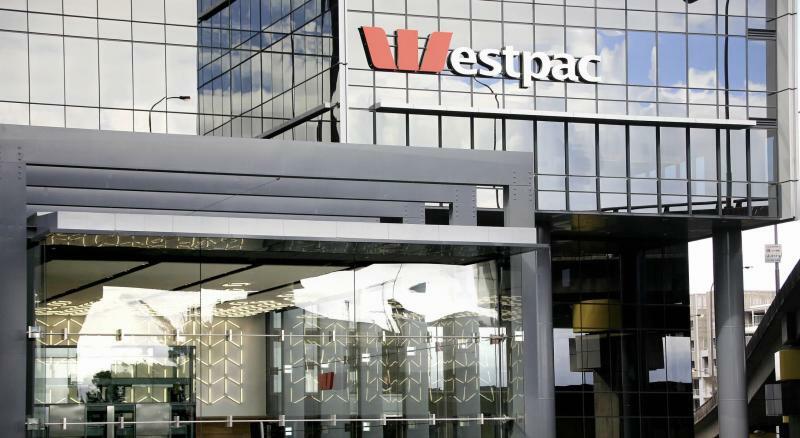 The brief letter informs borrowers Westpac is a responsible lender, claims it can no longer support the relationship and volunteers to help them find another lender, he said. Martin North, principal of Digital Finance Analytics, who has also been in contact with borrowers who have also received the letter, added: "There is a sense of panic among lenders about the risk in their portfolios. They still want growth but there is concern about poor lending standards." Westpac said it is attempting to locate the letter and declined to comment. It comes as new APRA analysis reveals a sharp spike in higher risk loans by major banks in the three months to the end of June, despite prudential regulators increasing pressure to toughen serviceability. The analysis reveals a near-three fold increase in the number of loans during the past 12 months that are outside the prudential's new guidelines on borrowers' capacity to service their loans. Mortgage brokers, buyers agents and analysts claim the Westpac letters are sending a shiver through an already nervous property sector facing rising lending costs and lower values. They warn it could cause fire sales, as distressed borrowers struggling to finance their properties decide to cut their losses and sell into a falling real estate market. It is also likely to drive borrowers to shadow lenders, which are less strictly regulated than authorised deposit-taking institutions, but will take on higher risk for higher lending rates. Some of the affected borrowers have been told they have until 20 October – or less than one month - to find a new lender. Westpac's move comes amid intense pressure on lenders from rising lending costs, tougher prudential controls and the interim findings of the royal commission into banking and financial services, which has already provided humiliating disclosures about shoddy practices across the sector. Banks are forensically examining their lending books for examples of high risk lending because of pressure from prudential regulators and to pre-empt findings of the royal commission. The Westpac letters are typically being set to interest only borrowers with multiple properties and high loan to value, usually 80 per cent, or above. The investors often have up to six properties. Analysis by investment bank Morgan Stanley shows the number of households with multiple investment property has grown strongly in recent years. About 1.5 million households have one investment property, an increase of about 2 per cent year on year. Also read: Is Australia drowning in debt? About 384,000 households own two properties, a rise of about three per cent, and 18,000 own five, a jump of about seven per cent. Westpac last week came under fire after it announced discounted rates for new borrowers as it increased standard variable rates for existing customers. The Productivity Council had earlier had previously lashed banks for exploiting the structure of the market to the detriment of loyal customers, zeroing in on strategies such as opaque pricing and introductory rates as being symptomatic of a wider problem. NAB chief executive Andrew Thorburn questioned the strategy of charging loyal customers higher rates, said it was "probably not a long-term economic model to have aggressive 'front book' discounting when your existing clients are not getting the same sort of deal". Mr Thorburn's comments were not targeting Westpac. Five of the six biggest lenders are chasing first-time home buyers – and borrowers switching from competitors – as they continue rolling out increases to their standard variable rates for existing borrowers over the next two weeks. About one million existing owner-occupied property buyers are estimated to be ready to switch to a cheaper rate with a new borrower, according to independent analysis. This article first appeared on AFR.com. See the original article here. Follow the AFR on Twitter and Facebook.